I like to make big breakfasts on the weekend. All week, we usually have quick breakfasts so we aren’t late for school. And given the time between getting out of bed and getting out the door, the kiddos haven’t developed much of an appetite, so light breakfasts are ideal for us. I also want all of us eating healthier. There are no, what they call “kid” cereals in our home. They are so full of sugar and artificial colours, that I can’t fathom giving that junk to my kids. Our 5yo isn’t really a fan of cereal, but I still make her eat it on days when we have to rush. We tend to have hard boiled eggs, toast, yogurt, fruit and if it’s chilly, oatmeal. 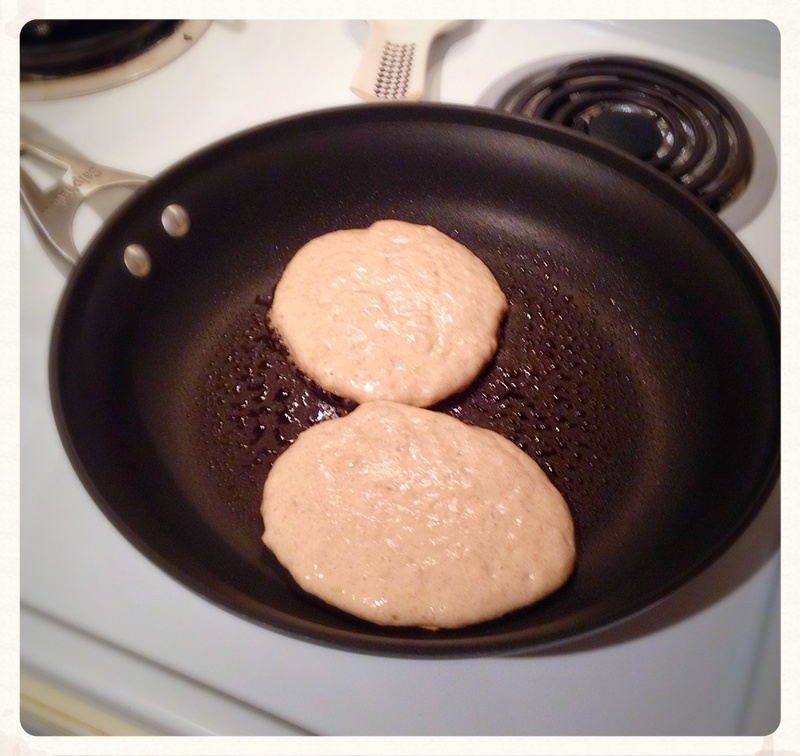 This past weekend, I chose to make pancakes. Not only because they’re super yummy, but because we were low on eggs, I had a couple bananas that were dying and a container of Greek yogurt nearing it’s best before date. Toss the flour, salt, baking powder, and cinnamon together in a large bowl. Set aside. 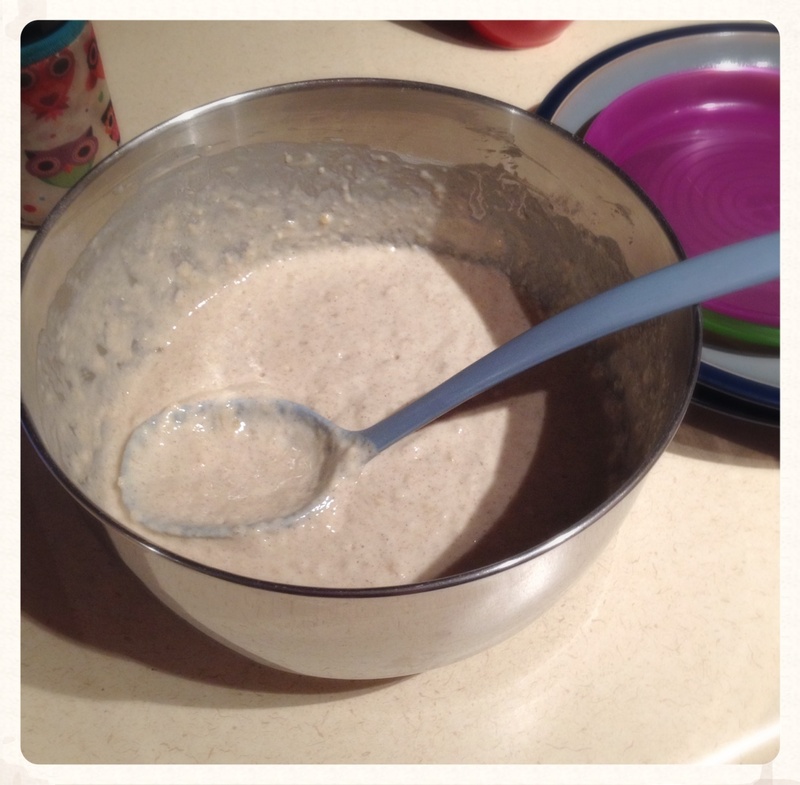 In a separate medium bowl, whisk the egg, milk, and banana together. Whisk in the brown sugar and yogurt until no lumps remain. Whisk in the vanilla until combined. Make a well in the dry ingredients and pour the wet ingredients in. Stir gently until just combined. 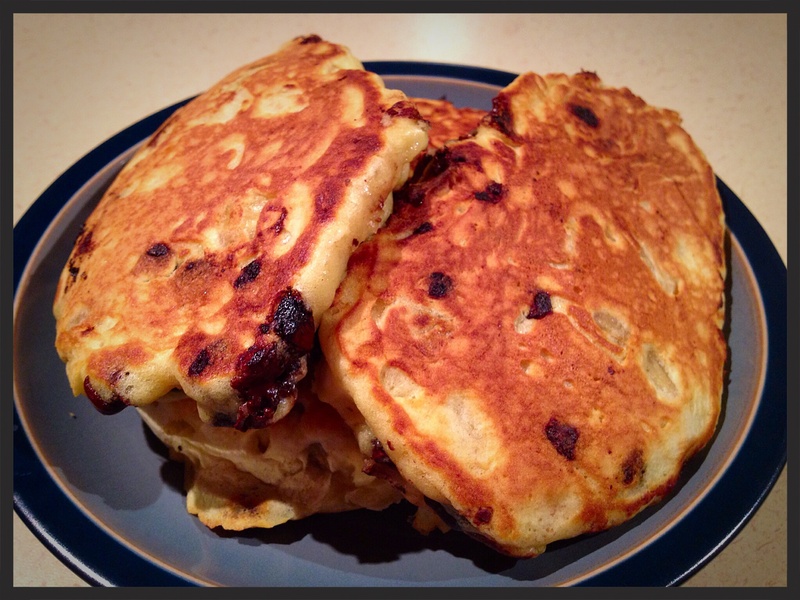 Do not overmix the batter or your pancakes will be tough and very dense. Add any mix-ins you prefer, but again – do not overmix the batter. Heat a griddle or skillet over medium heat. Coat generously with cooking spray, oil, or butter. Once very hot, drop about 1/4 cup of batter on the griddle. Cook until the edges look dry and bubbles begin to form on the center or sides, about 1 minute. Flip and cook on the other side until cooked through, about 2 more minutes. Coat griddle/skillet again with nonstick spray for each pancake or batch of pancakes. 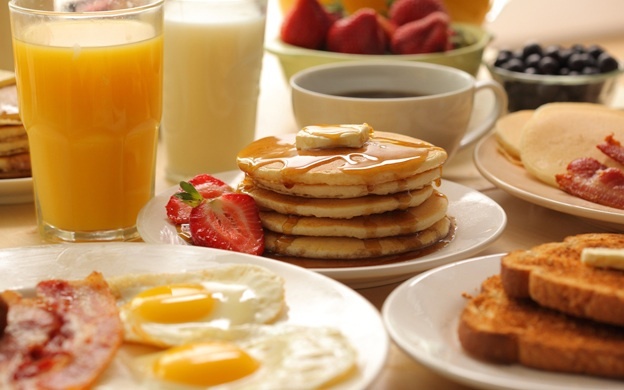 Keep pancakes warm in a preheated 200F degree oven until all pancakes are cooked. Serve immediately. Pancakes taste best right after they are made. Pancakes freeze well, up to 2 months. *Recipe tested with both skim and vanilla almond milks. Soy milk, 1%, 2%, buttermilk, coconut milk, or rice milk are OK.
Of course I forgot to take a picture of the final results because the kids were screaming that they were starvolo, so here’s a pic from Sally’s Baking Addiction (they look better than mine did anyways). 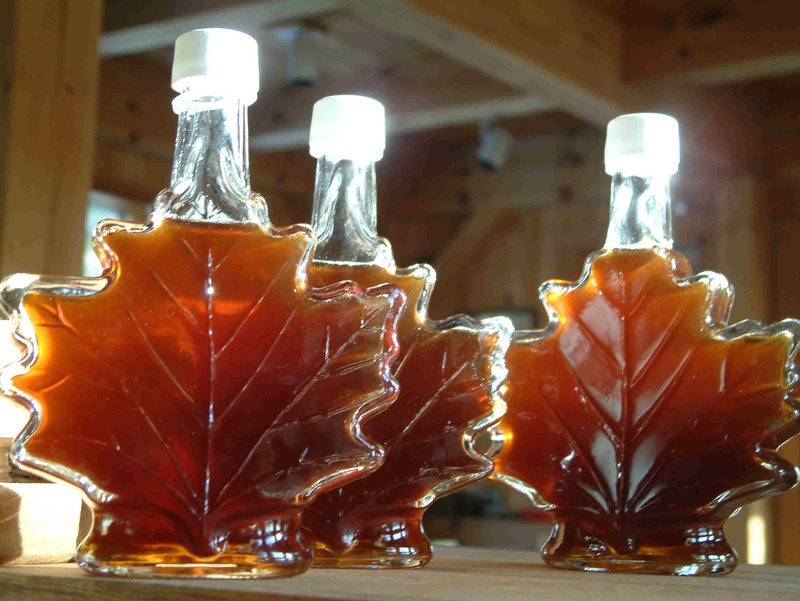 Make sure you top with pure maple syrup, not the maple or butter flavoured high fructose corn syrup garbage that you can get in the stores.